I like Left Alive. That's quite possibly the most controversial thing that I've ever written, given the wave of blind hatred that the game has been attracting since it launched last week. 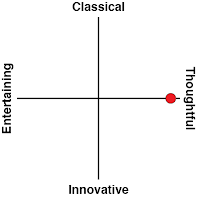 But I genuinely like it. It's often a mess to play, but, equally, it's a far smarter game than most will give it credit for. For those who haven't been following along, Left Alive is set in the Front Mission universe, and I think that's part of the problem. Front Mission started out as a tactics RPG property, in which players would command giant mechs - wanzers - in a strategic, turn-based combat. 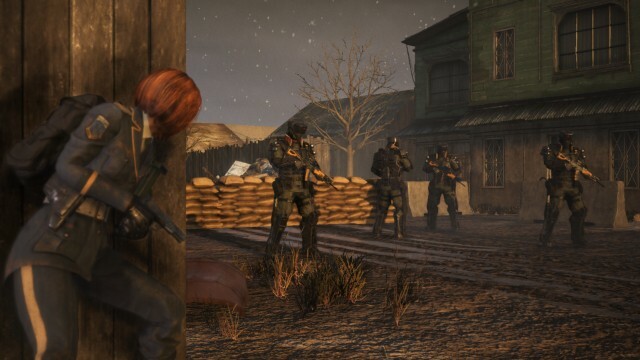 Fans of Front Mission have been waiting for lord knows how long now for a new "true" game in the franchise, and instead of delivering that, the last two Front Mission titles that Square Enix has delivered have been a derivative action shooter that was forgotten nearly as soon as it was released, and Left Alive; a stealth/survival game where you're not even piloting wanzers for the most part. But I think I understand where Left Alive fits into this property. By changing the perspective - forcing you to sneak around as a vastly outgunned individual, suddenly those wanzers take on a whole new sense of awe-inspiring scale. There's no way you can battle one of those things - if they start firing at you, you're dead. And they're every bit as intimidating as hulking giants of war should be. 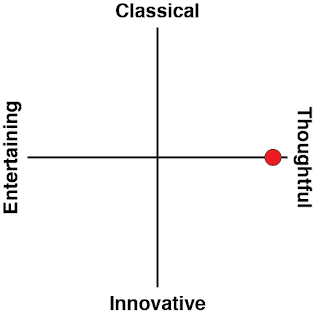 They're also far less utilitarian in their role in the game's narrative than they have been in titles past. The sinister way that they perch in the middle of ruined cities, ready to fire off their massive guns at any of the few remaining survivors in town, is a truly effective way of re-framing wanzers as an object of discussion - suddenly, they're not just a fun mech but a question about whether the ongoing escalation of weaponry used in war is morally just. 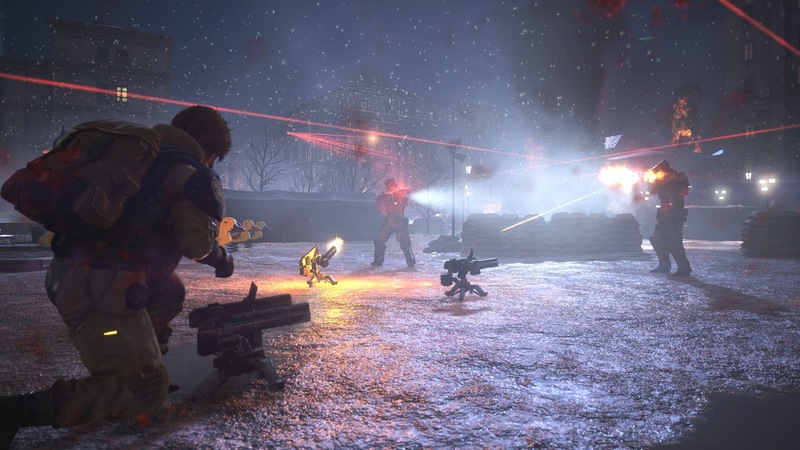 Left Alive wants you to question just about everything that you do, and it's one very downbeat game about war as a result. Right from the start, you're periodically asked to make decisions that might not have as much impact on the flow of the narrative as initially appears, but should be morally and ethically challenging to you nonetheless. Case-in-point, throughout the story you're given the opportunity to rescue survivors, who are hoveled up in whatever tiny safe houses they can find. The very first survivor you come across is a man who was involved in securing young kids for his client - yes, it is the worst-case scenario that your imagination can conjure. He claims complete innocence over what happens to them, but it's clear he's scum... but the question is whether you should save him anyway (and how you might benefit from doing so). This is only the first example of the kind of difficult decisions that you'll need to make through Left Alive; underneath the story sits one trolley problem after another. The principle idea behind the survival element was really appealing to me, too. When it comes to war stories, I'm not a fan of nationalist - sorry, "patriotic" - nonsense like Saving Private Ryan. I prefer the stories of the victims of war, as they are the most powerful resource that we have to discourage further conflict. A film like Saving Private Ryan puts me to sleep. A film like The Pianist, with its raw humanity on full display, and no delusions about "light in the darkness" nonsense has a far better impact - that film had me in tears. 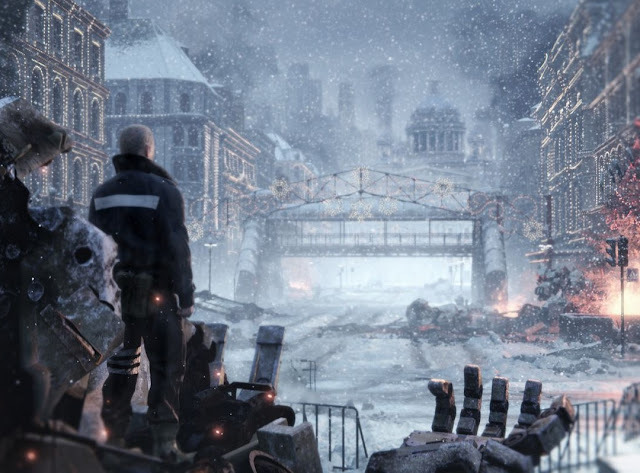 Left Alive wants to belong to the tradition of the later. This isn't a game that celebrates the people that fight in war. Nor is it one that necessarily takes sides in the politics that led to the war. That stuff is so far backgrounded that it's genuinely forgettable. Instead, Left Alive is a game that's focused firmly on depicting what happens to people in warzones - including the aforementioned moral decisions that they need to make - and the sense of paranoia that creeps in for those people, knowing that they're surrounded. The sheer panic that you, the player, will feel when your character is spotted, is built well into the game, and accurate to what thematic intent that the developer clearly had going in. So too is the difficulty. 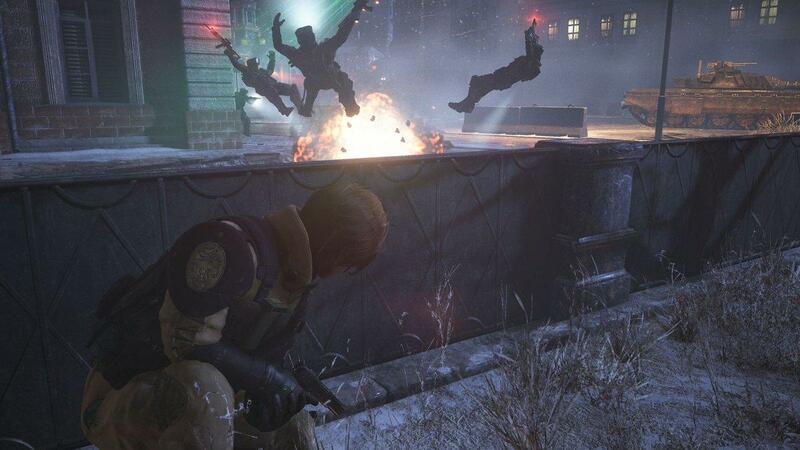 This isn't usually my kind of genre, and I tend to find even the easiest examples of it to be challenging, but I've had more "game over" screens in Left Alive than almost any other game I've played in the last decade. It's testament to Left Alive's X-factor that I did keep coming back for more (a game I wasn't so invested in would have been deleted quickly at this challenge level), but I was also found the unrelenting challenge to be appropriate to the game's theme. Sadly, I didn't like how some of the difficulty was achieved. Putting aside the bugs (there are bugs - nothing that broke the game for me, but they're there), there's also a real clumsiness to just about every mechanic, and the AI being so terrible actually hurts the game, and makes it harder than it should be. So often I crafted items to create intricate traps to deal with large groups of enemies, and so often the enemy would do something ridiculous, like run in the opposite direction or get stuck on scenery, meaning the only way that I could deal with them was to waste precious bullets (and inevitably get shot back at least a little), through the cumbersome gun play. AI is a difficult beast for developers, but on some level it needs to be at least somewhat predictable. If the level design creates a choke point, for example, then laying down a landmine as a trap should work - and indeed you should feel clever that you came up with it as a way to safely deal with an enemy. You never feel clever playing Left Alive. You feel like you succeeded against the mechanics, but the game simply fails to provide an AI satisfying enough to encourage you to be creative (or reward you for it). Mechanically, the game's at its best when it lets you jump into a wanzer. Thematically, these are the game's weakest moments, because in an instant you'll shift from feeling vulnerable to feeling heroic, but as a concession to the series history, and a promise for what might come in the future, it's acceptable. Additionally, putting aside the thematic dissonance to the rest of the game, it's a genuine thrill to jump into those iconic machines. Left Alive is a bundle of genuinely brilliant ideas, let down by frequently shoddy execution. A resoundingly anti-war war game, with a deep understanding of the way that war complicates personal and societal morality, Left Alive asks all the right questions that a game about war should. It also does a great job of making that sense of survival as desperate as it should. If only there was the technical competence behind it, to support those great ideas.